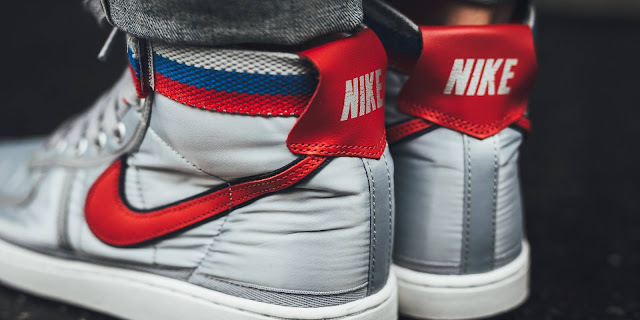 Originally released during the 1980s, the Nike Vandal High is a classic basketball shoe that has made its return as a lifestyle silhouette this year. 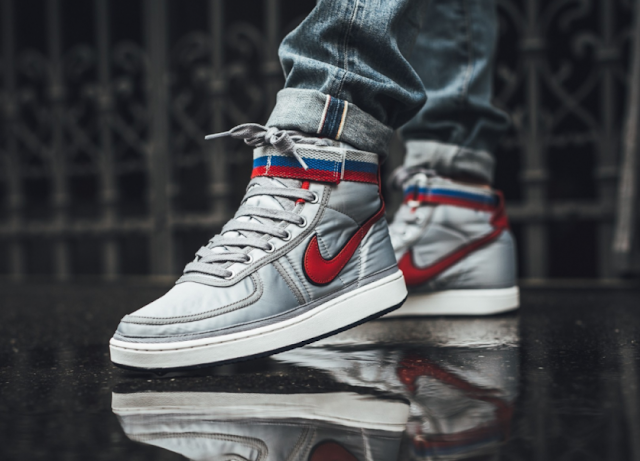 Featured in a collaboration with John Elliot earlier this year, this Vandal High goes back to its roots as the shoe comes dressed in a Metallic Silver upper with red accents on the Swoosh, heel tab, and the Nike branding on the tongue. Finishing things off is a grey/blue/red ankle strap along with a white rubber midsole and black rubber outsole. 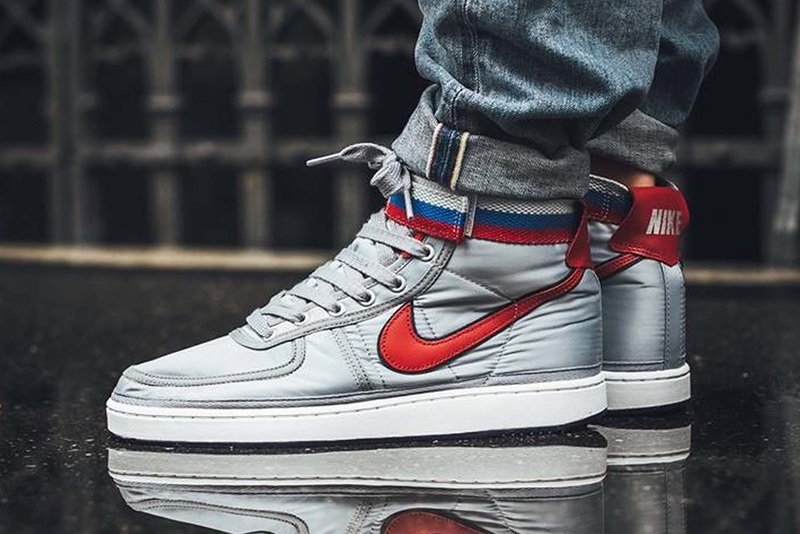 The Nike Vandal High OG Metallic Silver is available at selected retailers.